PARK CITY, UT — Specialty retailer Backcountry announces the launch of its largest owned brand product expansion yet, introducing climb, mountain bike, and winter collections as well as outdoor lifestyle apparel and travel gear. 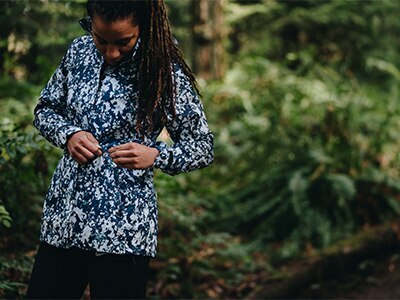 Following its success in 2018, Backcountry will celebrate 23 years of retail expertise, powered by its unique in-house team of product experts called Gearheads™, with the launch of a comprehensive, versatile and premium 2019 offering that includes a partnership with GORE-TEX brand, the industry leader in textile innovation, as well as collaborative efforts with top brands like Black Diamond and Burton. 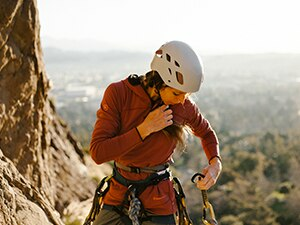 The first launch of the year begins today with the Backcountry Climb Collection, encompassing apparel and technical hardgoods designed for all types of rock climbers. Nearly every piece of apparel in the Climb Collection is manufactured with CORDURA®, the family of fabric fibers recognized for their long-lasting durability and resistance to abrasion, tears an d scuffs. The collection also includes collaborations with celebrated climbing brands: x Black Diamond Stone Garden 30L Crag Pack, x Edelweiss Echo Climbing Rope, x Metolius Party Pit Crash Pad, and x So iLL All Chalk No Action Hangboard, as well as modular adventure and day pack systems. In May, an enduro-inspired Backcountry Mountain Bike Collection will be introduced, featuring technology-driven Polygiene apparel and a feature-rich hip pack. Backcountry’s offerings will culminate with the Backcountry Winter Collection, launching in October 2019. The collection will showcase a range of snow outerwear, including the integration of GORE-TEX INFINIUM ™, premium apparel innovations that deliver versatile comfort through stretch and mobility, as well as the celebrated waterproof durability of GORE-TEX GUARANTEED TO KEEP YOU DRY® brand promise in other items such as three layer jackets, bibs and gloves . The collection will also include a co-developed Burton Family Tree splitboardcollaboration, apparel, a ski/snowboard bag and a boot/accessory bag, providing Backcountry fans a full offering. All give the consumer a fresh and creative product experience at the forefront of innovation. The 2019 Backcountry activity and lifestyle collections are exclusively available at Backcountry.com beginning on March 8, 2019. Backcountry.com is the premier online specialty retailer of outdoor gear for snow sports, hiking, camping, paddling, biking, climbing, fly fishing, and more, including a wide selection of premium apparel, both technical and casual. Backcountry’s mission is to connect people to their passions by supplying customers with the gear, knowledge, and inspiration necessary to chase down life’s greatest moments. Backcountry does this by providing the biggest and best assortment of premium outdoor products, personalized Gearhead expertise, inspirational content, a superior shopping experience, and lightning-fast fulfillment. The Backcountry family of companies includes Competitive Cyclist, MotoSport.com, Steep&Cheap, and Bergfreunde.de, which is based in Germany. PARK CITY, UT — Specialty retailer Backcountry released details today for its Fall/Winter 2018 Lifestyle Apparel and Touring Collections, the result of 22 years of outdoors gear and apparel buying experience, as well as consumer and Gearhead insights. The Backcountry Touring Collection is purpose-built for backcountry skiing and snowboarding, designed in collaboration with in-house product experts, Gearheads, who contributed insights throughout the product development process. The result is “Gearhead-Certified Product,” which signifies that Gearheads have placed their stamp of approval on the select products that they co-developed. Gearheads ensured customer feedback was integrated into each product, by including unique features, prioritizing breathability and mobility, and designing modern, yet functional fit. Additionally, as super-users themselves, Gearheads only consider the products suitable for customers once they have met Gearheads’ rigorous standards. Beyond being Gearhead-Certified, the Touring Collection merges Backcountry-designed pieces with innovative collaborations with some of the touring community’s most respected brands: Flylow, Black Diamond, DPS, and Smartwool. All products create a cohesive touring kit engineered to fit together. From reimagining an end-use specific glove system with Black Diamond, to combining the best elements of multiple DPS skis into one, each collaboration was a ground-up partnership, co-creating technical products that have never existed before in any brand’s lineup. “Backcountry challenged us to dream up the best touring kit we can make together, and we did just that,” said Dan Abrams, co-founder of Flylow. “One outcome is Flylow’s first women’s Polartec Neoshell bib, a collaboration and innovation that we’re extremely proud of.” The Touring Collection will soft launch on pre-sale to Gearhead-connected customers on October 19, and be publicly available on October 26. The Backcountry Fall Apparel Collection, which offers a range of products from insulation and performance fleece to Cordura pants, NuYarn baselayers, and more, is available now exclusively at Backcountry.com. PARK CITY, UT — Today, Jonathan Nielsen, CEO of Backcountry signed the Camber Outdoors CEO Pledge, committing to accelerate efforts to attract, retain, and advance top-tier, diverse talent. The CEO Pledge, developed by Camber Outdoors, elevates women’s leadership as a strategic, visible business priority within the active-outdoor industries. Backcountry is joining a business community of thought-leading companies and CEOs who understand the connection between inclusive workplaces where women thrive and business sustainability. Companies that sign the pledge agree to, among other things, follow recruiting practices that result in gender-balanced candidate pools for key roles, work to optimize retention of female employees, and provide training, mentoring and career planning for the women in their workforce. Research shows that companies with a higher proportion of women on their leadership teams are also the companies that have the best financial performance. However, one of the biggest challenges the active-outdoor industries will face over the next five years is competition for employees with specialized skills, who understand the consumer’s needs. Camber Outdoors ensures the active-outdoor industries stay competitive in attracting and retaining top-tier talent for a stronger, more sustainable industry - increasing profits, expanding the product market, and driving innovation. To date, more than 75 CEOs have signed the Camber Outdoors CEO Pledge. For additional information about the CEO Pledge, visit: https://camberoutdoors.org/ceo-pledge/. Camber Outdoors envisions a future of Everyone’s Outdoors. With our community of over 170 corporate partners and 10,000 individuals, we’re elevating and accelerating women’s leadership and participation in the outdoors through innovative and thought-leading programs and initiatives including the CEO Pledge, Pitchfest, a cross-industry/company Mentoring Program, and Camber Exchanges. For media inquiries about Camber Outdoors or the CEO Pledge, contact Camber Outdoors’ Marketing Manager Melissa Schaaf, [email protected]. The Backcountry gear and apparel releases start this spring with an apparel focus, and throughout summer will expand to include camp gear, travel duffels, and mountain bike apparel. Fall/winter 2018 features a broader product offering, with fall casual apparel on one end of the spectrum and the technical Backcountry Touring Collection on the other. The line also includes elevated performance apparel that’s not activity-specific, but rather developed with universal technical qualities needed for a variety of outdoor activities. The Backcountry Touring Collection is a purpose-built set of products tailored to the specific needs of ski touring and splitboarding. Every product in the Collection is engineered to fit together as a cohesive kit. The Collection includes Backcountry branded layering and insulation pieces, as well as products created in partnership with leading brands such as Black Diamond, Flylow, Smartwool, and DPS Skis. In addition to the innovative and collaborative nature of the line, the Backcountry Touring Collection also introduces the first instance of Gearhead Certified Product. As adventurers and experts in gear attuned to product detail and technical performance, Backcountry’s Gearheads are the most natural fit to assist in designing and endorsing Backcountry’s first activity-specific collection. Backcountry branded gear and apparel products will be available exclusively at Backcountry.com starting in April 2018. The Backcountry Touring Collection will be available exclusively at Backcountry.com starting in October 2018. 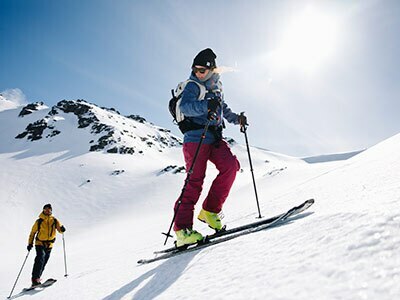 Backcountry.com is the leading online retailer of premium outdoor gear and apparel for skiing, snowboarding, biking, climbing, fly fishing, hiking, camping, and more. Founded in the Park City, UT area in 1996, Backcountry connects people to their passions by offering the best selection of outdoor products, backed up by knowledgeable, responsive customer service from its Gearheads and rapid fulfillment out of its two warehouse hubs. Backcountry operates four additional online specialty stores: Competitive Cyclist, MotoSport.com, Steep&Cheap, and Bergfreunde.de, which is based in Germany. 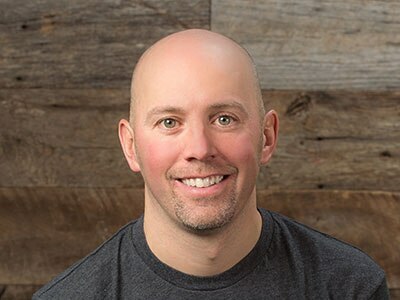 PARK CITY, UT — Backcountry, the premier online specialty retailer of outdoor gear, is pleased to announce that Jonathan Nielsen, CEO of Backcountry, joined The Nature Conservancy’s Utah Chapter Board on December 5, 2017. He will serve a 3-year term expiring in 2020. 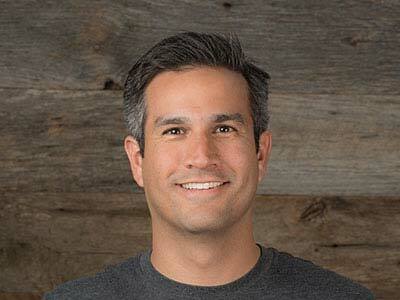 After an extensive career in investment banking and corporate development at eBay Inc., Nielsen moved from San Francisco to Park City to lead Backcountry’s corporate development team. 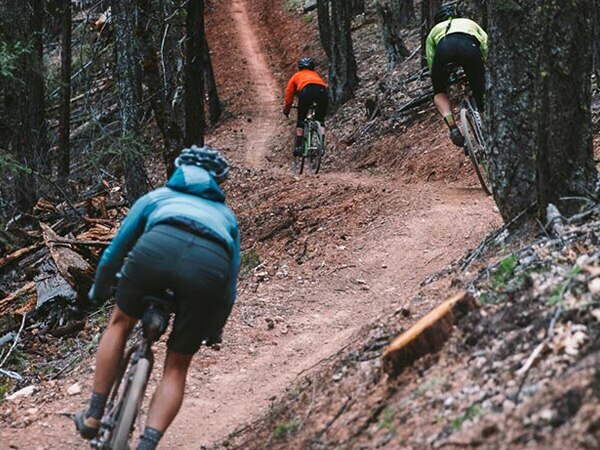 At Backcountry, Nielsen has led the Product Management and Design teams, managed Backcountry’s adjacent category businesses (Competitive Cyclist and MotoSport) and led Backcountry’s European expansion with the acquisition of Bergfreunde. In 2016, Nielsen was appointed CEO. Nielsen earned his B.S. in Finance from Brigham Young University. The Nature Conservancy is a non-profit, science-based conservation organization which works collaboratively to protect lands and waters for nature and people around the world. With the support of more than a million members, the Conservancy has protected over 119 million acres of land and thousands of river miles since its founding in 1951. Working with partners, the Utah Chapter has helped to conserve over one million acres of public and private land including iconic landscapes such as the Dugout Ranch in San Juan County, the Matheson Preserve near Moab and the Shorelands Preserve on the Great Salt Lake. More information on The Nature Conservancy’s Utah Chapter and its conservation programs can be found at nature.org/Utah, on Instagram (@nature_utah), and on Facebook at www.facebook.com/natureconservancyutah. The OPDD Advancement Board is a core group of companies representing various segments of the outdoor industry and is comprised of industry leaders inside and outside the state of Utah. Board members are investing in the OPDD program and its students by committing their knowledge and resources to helping prepare students for successful careers in the industry. Board members will be available to faculty for curriculum support, as well as assisting in finding industry experiences for students to participate in, including internships, design competitions, and more. 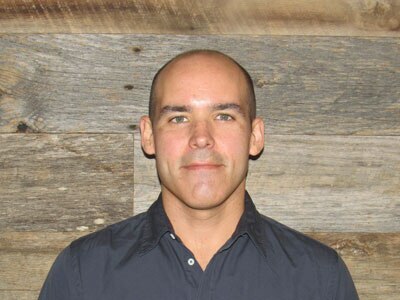 PARK CITY, UT — Backcountry is pleased to announce that Andy Fletcher, Director of Owned Brands of Backcountry, is joining the Advisory Board of Utah State University’s Outdoor Products Design and Development Program effective July 25, 2017. Fletcher leads Backcountry’s private label apparel business, overseeing design, development, production, and marketing of several brands. Prior to joining Backcountry, Fletcher led corporate strategy and business development for VF Corporation’s Sportswear Coalition. His career also spans roles at Nordstrom, in private equity, and in management consulting. Fletcher holds an MBA from the Kellogg School of Management at Northwestern University and a BS in Electrical Engineering from the University of Virginia. Utah State University&apos;s Outdoor Product Design and Development (OPDD) program was created in order to close the design and skills gap between what students learn in school and the skills they need to succeed in the outdoor industry. OPDD was created in response to industry asking for more skilled designers with a knowledge of outdoor products. Students who could not only design, but prototype, source, and understand the manufacturability of their designs. Students specialize in hard or soft goods design, learning practical skills like industrial sewing, pattern making, CAD and 3D design, as well machining and manufacturing processes. PARK CITY, UT — Backcountry is pleased to announce that Pete LaBore, Chief Operating Officer of Backcountry, is joining Ski Utah’s 2017 Board of Directors, effective July 1, 2017. He will serve a three-year term expiring June 30, 2020. “We are thrilled to have Pete LaBore join the Ski Utah Board of Directors,” said Nathan Rafferty, CEO/President of Ski Utah. “Backcountry is an influential Utah-based outdoor retail company that Ski Utah is proud to have a partnership with. With Pete joining the board we hope to strengthen this relationship and in turn continue to support and represent Utah’s $1.4 billion winter sports industry." As COO, LaBore manages Backcountry’s domestic and international Operations, Customer Service, Marketing, and Merchandising teams. LaBore earned his B.A. in Mechanical Engineering from Iowa State University and his MBA in Strategy & Marketing from the University of Chicago&apos;s Booth School of Business. Ski Utah is a membership association representing Utah’s $1.4 billion winter sports industry, including 14 alpine ski resorts and a membership of over 250 industry partners. The organization has been creating brand awareness of and demand for the Utah winter sports product since its inception in 1978. Ski Utah’s primary functions are concentrated in marketing, public policy and public relations. Information about Ski Utah and its members can be found at skiutah.com, on Twitter @SkiUtah and on Facebook at www.facebook.com/skiutahyeti. PORTLAND, OR — Backcountry.com today announced the appointment of Scott Huddleston as General Manager and VP of Backcountry’s power sports subsidiary, MotoSport.com, effective February 3, 2017. “Long before I joined MotoSport, I was a motorcycle rider and enthusiast with a deep love of this brand and this sport. The next chapter in the MotoSport story will honor our roots but also grow our brand to reach even more consumers with our selection, value and customer service. I couldn’t be more excited to be a part of the MotoSport team” said Scott Huddleston, GM and VP of MotoSport. Prior to joining MotoSport, Scott led Marketing teams at MAG Retail Group, Harry and David, and Eddie Bauer. 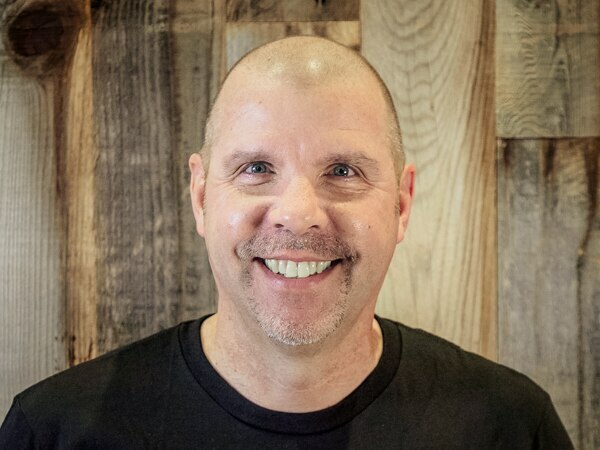 With a distinguished career of over 15 years, Scott has deep operational and strategic experience developing and executing direct, e-commerce and retail marketing strategies consistent with company goals in the power sports, premium food and gift, and outdoor apparel markets. Scott has a demonstrated ability to structure, solve and present solutions to ambiguous business problems and has proven it at every step of his career. Backcountry.com is the premier online specialty retailer of outdoor gear for snow sports, hiking and camping, paddling, biking, climbing, fly fishing, and more. We also carry a wide selection of premium apparel, both technical and casual. The quality and breadth of our products, the knowledge and empowered service of our Gearheads, the lightning-fast speed of our fulfillment, and the shared gear knowledge of our community enable our customers to get outside and pursue their passions. The Backcountry.com family of companies includes CompetitiveCyclist.com, MotoSport.com, Bergfreunde.de, and SteepandCheap.com. MotoSport is one of the premiere leaders in the riding community, servicing the dirt bike, ATV, sport bike and cruiser markets. MotoSport has seen rapid growth by focusing on a few fundamental principles: deliver outstanding customer service; stock most of the products we sell; provide competitive pricing; and most importantly, hire and retain staff that is as dedicated to riding as the customers we serve. The riding community is a family, with the passion for riding often passed from generation to generation. At MotoSport, we strive to make sure our customers can enjoy and share their love for riding as much as we do. PARK CITY, UT — Backcountry is seeking to expand its team of Gearheads and is looking for candidates in Colorado to fill seasonal positions. If you’re an avid cyclist, climber, skier, snow-boarder, fly fisherman or hiker and love connecting people to their passions and new adventures, becoming a Backcountry Gearhead may be a great opportunity for you. 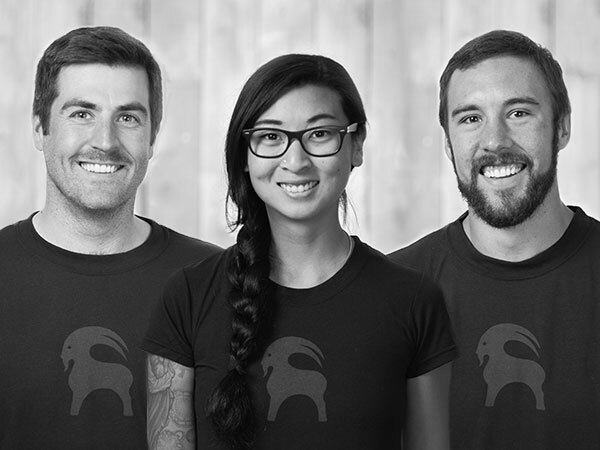 Gearheads are Backcountry’s unique customer service agents, trained to bring their passion and gear knowledge to customers via phone or chat. Gearheads pride themselves on their in-depth technical knowledge of gear, as well as the love they have of the activities the gear is used for and the adventures gear enables. Gearheads have been there, they’ve done it, and they’ve tried all the gear for you. They’ll recommend what’s best and make your next adventure even better! Gearhead Operations is a division at Backcountry that focuses on making sure that Gearheads have the answer to everything Backcountry’s customers might possibly want to know before they even think of the question. Gearheads have the amazing opportunity to learn more about the outdoor industry by attending company and vendor-sponsored workshops on the latest technologies and products from the world’s top outdoor retailers. Backcountry values and rewards hard work, gear passion, and a get-it-done attitude. At Gearhead Operations, we are obsessed with creating loyal, repeat customers through our incredible service. Backcountry is the leading online retailer of premium outdoor gear. Backcountry’s mission is to connect people to their passions. We create remarkable customer experiences through the best selection of outdoor product, a flawless shopping experience, the expertise of our Gearheads, the lightning speed of our fulfillment, and the shared knowledge of our Community. Backcountry operates six online specialty stores -Backcountry, Competitive Cyclist, MotoSport, Bergfreunde, SteepandCheap, and WhiskeyMilitia. Backcountry and its specialty stores focus on skiing, snowboarding, biking, climbing, fly fishing, and camping. PARK CITY, UT — Backcountry is seeking to expand its team of Gearheads and is looking for candidates in Illinois to fill seasonal positions. If you’re an avid cyclist, climber, skier, snow-boarder, fly fisherman or hiker and love connecting people to their passions and new adventures, becoming a Backcountry Gearhead may be a great opportunity for you. Gearheads are Backcountry’s unique customer service agents, trained to bring their passion and gear knowledge to customers via phone or chat. Gearheads pride themselves on their in-depth technical knowledge of gear, as well as the love they have of the activities the gear is used for and the adventures gear enables. Gearheads have been there, they’ve done it, and they’ve tried all the gear for you. They’ll recommend what’s best and make your next adventure even better! PARK CITY, UT — Backcountry is seeking to expand its team of Gearheads and is looking for candidates in New York York to fill seasonal positions. If you’re an avid cyclist, climber, skier, snow-boarder, fly fisherman or hiker and love connecting people to their passions and new adventures, becoming a Backcountry Gearhead may be a great opportunity for you. Gearheads are Backcountry’s unique customer service agents, trained to bring their passion and gear knowledge to customers via phone or chat. Gearheads pride themselves on their in-depth technical knowledge of gear, as well as the love they have of the activities the gear is used for and the adventures gear enables. Gearheads have been there, they’ve done it, and they’ve tried all the gear for you. They’ll recommend what’s best and make your next adventure even better! 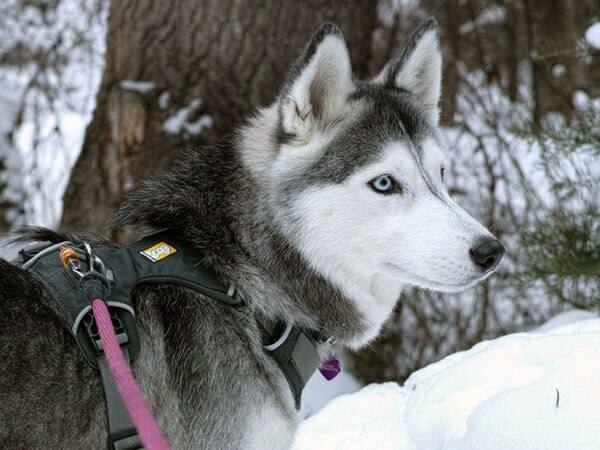 Park City, UT — Backcountry.com (“Backcountry”) is pleased to announce its partnership with Westchester Parks Foundation as a sponsor of the organization’s first annual Mutts on the Mountain 5K and Fun Run at the Blue Mountain Reservation in Peekskill, NY. To be held on October 1, 2016, the Mutts on the Mountain event will feature a 5K consisting of 3.1 miles of technical single track, featuring several steep climbs, water crossings, two rock scrambles, and nearly 500 feet of elevation gain, and a Lazy Dog Fun Run, a 1-mile romp combining single and double track, designed for smaller and/or older dogs. “Mutts and mountains? Those are two of Backcountry’s favorite things, so naturally we couldn’t pass up the opportunity to support this event. We’re happy to partner with the Westchester Parks Foundation in support the local community, their parks and their pups,” said Gian Colombo, Head of Brand for Backcountry. For more information about the race and to register, visit the Westchester Parks Foundation website. Backcountry.com is the leading online retailer of outdoor gear and apparel for skiing, snowboarding, biking, climbing, fly fishing, hiking, camping, and more. Founded in the Park City, UT area in 1996, Backcountry connects people to their passions by offering the best selection of outdoor product, backed up by responsive customer service provided by its corps of Gearheads, and rapid fulfillment out of its two warehouse hubs. Backcountry operates five additional online specialty stores: Competitive Cyclist, MotoSport.com, Steep&Cheap, WhiskeyMilitia, and Bergfreunde.de, which is based in Germany. Westchester Parks Foundation is a 501(c)3 not-for-profit, philanthropic organization which provides private support to preserve the County’s park system and improve the quality of life in our communities. Westchester Parks Foundation’s mission is to engage the public to advocate for and invest in the preservation, conservation, use, and enjoyment of the 18,000 acres of parks, trails, and open spaces within the Westchester County Parks system. For more information, visit thewpf.org. Blue Mountain Reservation is a 1,538-acre park in the northwest section of Westchester County. It features miles of trails for mountain biking, strolling and nature study, and offers challenging hikes to the tops of two large peaks, Mt. Spitzenberg and Blue Mountain. It is a facility of the Westchester County Department of Parks, Recreation and Conservation. Park City, UT — As an official sponsor of Grinduro, “one of the most exciting dirt road races in existence,” online bike retailer Competitive Cyclist is giving away a trip to the sold-out 2016 edition of the event, plus a few other Grinduro-themed prizes. Cyclists can go to //competitivecyclist.com/sc/grinduro-giveaway to enter. “We believe that Grinduro captures the beauty of cycling by emphasizing the social and artistic underpinnings of the sport while still maintaining the element of competition. That is where cycling is going, and we are excited to be a part of it,” said Will Sladek, Vice President for Competitive Cyclist. Held from October 7, 2016 to October 9, 2016, the Grinduro California event will begin in Quincy, California and wind its way through the beautiful Sierra Nevada Mountains. Riders must complete a 60-mile loop with a mix of paved roads, gravel roads and singletrack. This format creates a festive, social atmosphere, but competitive riders can still prove themselves on the timed segments. Riding bikes all day is only half the fun of Grinduro. Riders will be treated to gourmet food, camping, parties, and an art & bike exhibit featuring some of the best handmade bikes. The initial event, held in 2015, was such a success that this year’s edition sold out rapidly. Competitive Cyclist is the leading online specialty retailer of road and mountain bikes, components, apparel and accessories. Competitive Cyclist delivers the knowledgeable, personalized service and custom build capability of the best local bike shops, combined with the breadth of selection only possible online. Founded in Arkansas by diehard cyclists in 1999, Competitive Cyclist joined the family of companies owned by Backcountry.com in 2011. Park City, UT — Backcountry.com is seeking to expand its team of Gearheads and is looking for candidates in California to work remotely to fill seasonal positions. Gearheads are Backcountry’s unique customer service agents, trained to bring their passion and gear knowledge to customers via phone or chat. Avid cyclists, climbers, skiers, snowboarders, fly fishermen, campers, and hikers who are knowledgeable about their sports and the equipment requirements of each, who love talking gear, and who are looking for a flexible, work-from-home opportunity are encouraged to apply.